In today’s highly politicized market environment, we understand that you seek insight on how changes could affect your financial life. While we could focus on potential policy or tax adjustments, many of these details are still unclear. Rather than addressing speculation, we prefer to analyze and share key data that we do have details on from last week: the trade deficit. Why should you care? As we discussed a few weeks ago, trade is integral to our economy—and we saw a decrease in net exports slow GDP growth in the fourth quarter of 2016.8https://www.bloomberg.com/news/articles/2017-01-27/u-s-economic-momentum-faces-wild-card-in-trump-s-trade-policy Essentially, when the U.S. imports more goods than we export, the economy may not perform as well. However, analyzing the trade deficit is not a simple “lower is better, higher is worse” circumstance. In a healthy economy, the trade deficit can increase, as Americans’ incomes grow and they buy more imported goods.9http://www.ftportfolios.com/Commentary/EconomicResearch/2017/2/7/the-trade-deficit-in-goods-and-services-came-in-at-44.3-billion-in-december Understanding what signs are positive and which are negative can help you better know where we stand. Looking ahead, changes to trade deals and corporate tax rates could have significant effects on the trade balance and volume. We will continue to evaluate this monthly metric to look for insight into our economy’s fundamental strength. As always, we will work to keep you informed so you know what is happening and how we are pursuing your goals in an evolving world. A tasty side dish that’s easy to make. Cut off the end of each sprout, slice in half lengthwise, and trim any ragged or brown outer leaves. Rub each half with olive oil. Pour 1 tablespoon of oil in a large skillet and heat on medium. 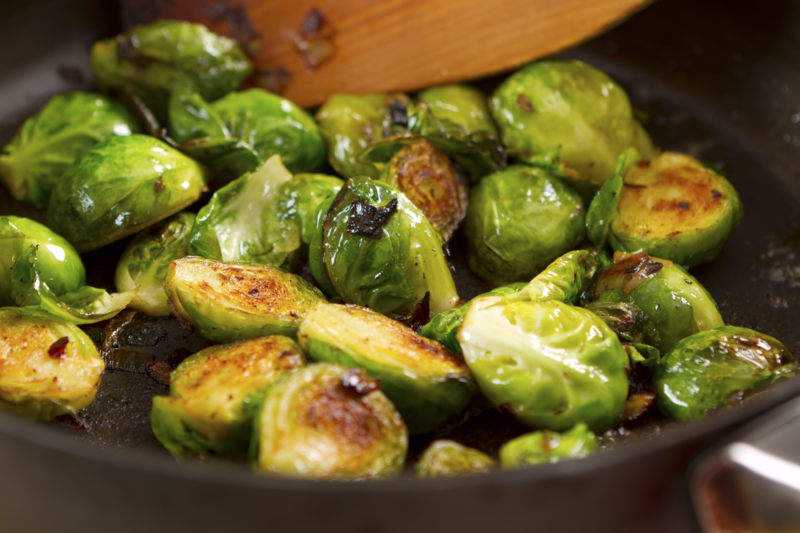 Place a single layer of Brussels sprouts in the pan cut side down. Sprinkle the sprouts with salt and cover. Cook for approximately five minutes, until the cut sides are just beginning to brown and the sprouts are tender all the way through. Remove the cover and turn up the heat. Allow the cut sides to turn a deep, caramelized color, and then toss the whole pan a few times to brown the round sides. Remove from heat and sprinkle with salt and pepper to taste. Add grated cheese. Parmesan, Gruyere, and Gouda all work well. Age: Your child must be under age 17 as of December 31, 2016. Dependent: Only children that the taxpayer claims as a dependent on their federal tax return qualify. Support: The child must have provided less than half of their own support during 2016. Joint Return: The child cannot file a joint return unless they are doing so to claim a refund. Citizenship: Only children that are a U.S. citizen, national, or resident alien qualify. Residence: Generally, the child should live the majority of their time with the taxpayer—which means more than half the year in 2016. The Child Tax Credit has income limitations. These limitations may reduce or eliminate your credit, depending on your income and filing status. So you will want to be aware of which limitations may affect you. The easiest way to claim a Child Tax Credit is through IRS E-file. This online filing tool is safe, simple, and accurate. You can prepare and file your taxes online for free using IRS Free File. If you claim a Child Tax Credit, you may need to complete Schedule 8812. You may also qualify for a refund through the Additional Child Tax Credit, even if you don’t owe taxes. For more information, visit IRS.gov or speak to your tax professional. Unless your property is huge—or you don’t mind smashing your neighbors’ windows—chances are you haven’t spent much time practicing your drive at home. With this exercise, you can effectively (and safely!) practice your swing. Step 1: Grab a driver and go outside. Look for a spot in your lawn where the grass length is similar to the rough—around the height of a tee. Step 2: Skim the grass. You aren’t actually hitting balls here; you’re practicing your swing. Set up like you’re at the tee box and swing so your driver’s bottom just touches the top of the grass. Don’t attack the imaginary ball like you would with an iron or you could end up digging into your yard—and you certainly won’t improve your drives. Keep practicing your swing, each time aiming to just skim the grass. Hitting up on the ball with this sweeping motion will help you launch long, straight drives the next time you’re at the tee. Aging is a natural part of life, but the choices you make can help increase longevity and improve your health. Here are five tips that may help extend your life and make the years more pleasant as well. Gathering with good friends is not just enjoyable—studies show it may also help you live longer. Just make sure you connect with friends who make healthy choices, as their habits can rub off on you. Don’t think of an afternoon snooze as a guilty pleasure; consider it a lifesaver. Research shows that people who nap regularly have a 37% lower chance of dying from heart disease than people who rarely take a siesta. Mediterranean diets can help you decrease your chance of heart disease and diabetes. To eat this way, focus on fresh produce, olive oil, fish, and whole grains. The list of benefits you gain from regularly exercising seems to lengthen all the time. Want to stay mentally sharp, live longer, and avoid many common diseases? Aim for 2.5 hours of moderate exercise each week. Choosing to forgive and let go of grudges can have measurable effects on your mental and physical health. If you replace chronic anger with forgiveness, you can lower your risk of stroke and heart disease while enjoying reduced anxiety and blood pressure. Living a greener lifestyle doesn’t have to mean major changes. In fact, just a few adjustments to your daily routine could have a big effect on your environmental impact and might even save you some “green” in the process! Here are tips to consider throughout your day.